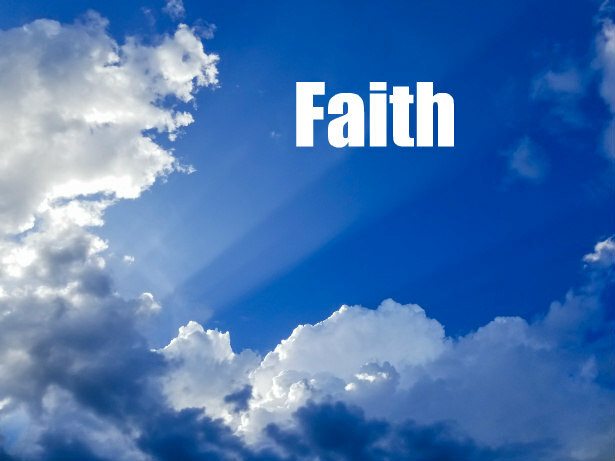 Faith means a lot for the christian,and by having it mountains move in our life.Faith can even bring healing as we learn of the ten who were healed of leprosy,yet only one returned to thank Jesus(Luke 17:11-19). 11 And it came to pass, as he went to Jerusalem, that he passed through the midst of Samaria and Galilee.12 And as he entered into a certain village, there met him ten men that were lepers, which stood afar off:13 And they lifted up their voices, and said, Jesus, Master, have mercy on us.14 And when he saw them, he said unto them, Go shew yourselves unto the priests. And it came to pass, that, as they went, they were cleansed.15 And one of them, when he saw that he was healed, turned back, and with a loud voice glorified God,16 And fell down on his face at his feet, giving him thanks: and he was a Samaritan.17 And Jesus answering said, Were there not ten cleansed? but where are the nine?18 There are not found that returned to give glory to God, save this stranger.19 And he said unto him, Arise, go thy way: thy faith hath made thee whole. Faith is to believe in what we cannot see,and know if it is in scripture it is the truth of the living God! Today if we would hear about a woman who is ninety and pregnant and the father is one hundred years old,we surely would not believe it is true.Through faith nothing is impossible with God!God gave the set time a year later for the event in Sarah and Abrahams life and He brought it to pass by the faith Abraham and Sarah had(Genesis 17:15-22),(Hebrews 11:8-12). 16 Therefore it is of faith, that it might be by grace; to the end the promise might be sure to all the seed; not to that only which is of the law, but to that also which is of the faith of Abraham; who is the father of us all,17 (As it is written, I have made thee a father of many nations,) before him whom he believed, even God, who quickeneth the dead, and calleth those things which be not as though they were.18 Who against hope believed in hope, that he might become the father of many nations, according to that which was spoken, So shall thy seed be.19 And being not weak in faith, he considered not his own body now dead, when he was about an hundred years old, neither yet the deadness of Sarah’s womb:20 He staggered not at the promise of God through unbelief; but was strong in faith, giving glory to God;21 And being fully persuaded that, what he had promised, he was able also to perform.22 And therefore it was imputed to him for righteousness.23 Now it was not written for his sake alone, that it was imputed to him;24 But for us also, to whom it shall be imputed, if we believe on him that raised up Jesus our Lord from the dead;25 Who was delivered for our offences, and was raised again for our justification.